Need your fix for a Toronto tap dance class? 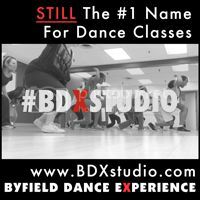 Drop by Byfield Dance Experience. Tap dance or hip hop… It’s ALL good. Warning: this video may induce laughter! More Tap Dancing in Toronto! Brush off your shoes, and get into a Toronto tap dance class! Now there’s even more tap dancing in Toronto. Get your tap dance shoes out of the closet and get in a class. There’s a tap dance lesson for everyone, so get involved!